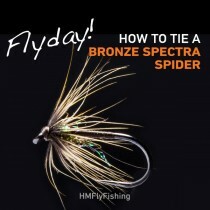 Most competition rules state that bung fishing is not permitted as all flies on the cast have to be able to catch a fish and be made up of three materials or more. 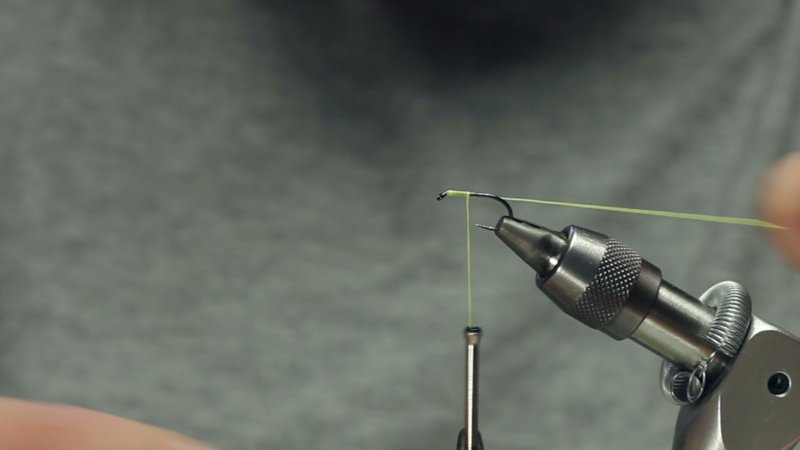 So Matthew Pate shows us how to tie this very buoyant fly that is responsible for not only being a great indicator but also known to catch a few too. 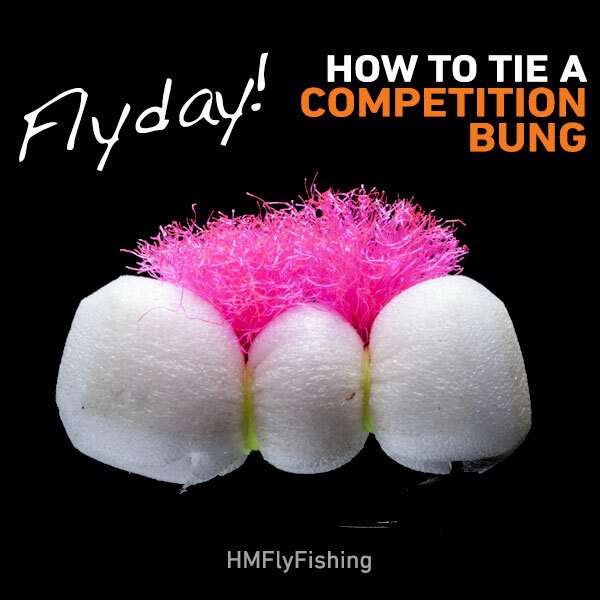 This is the competition bung fly. 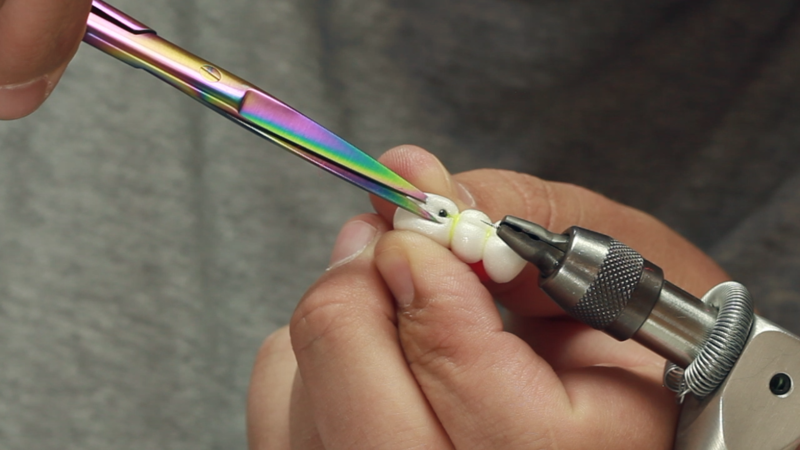 Start of by putting your hook in the vice, as long as it’s big enough to take the large block of foam you should be good and start your heavy thread just behind the eye and take it to the bend in the hook. 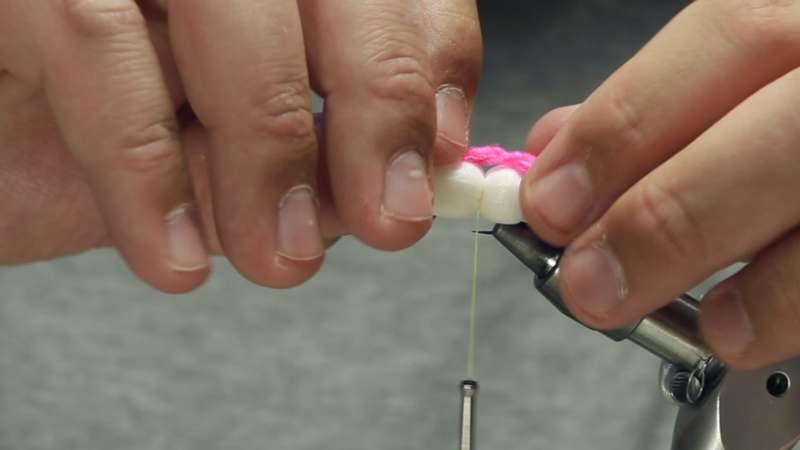 Place your piece of foam so the hook is roughly in the center of it and with a loose turn catch the foam in and pull down tight a secure with a few more turns. Wrap a bit of high visible yarn back on itself a few times and place it on top of the foam block and with a few turns lock it in place and then trim giving it a bright mohawk. Bring the thread back up the hook under the foam and repeat making the foam look like it has been segmented into thirds. Now fold back the foam and do a few final wraps and whip finish. 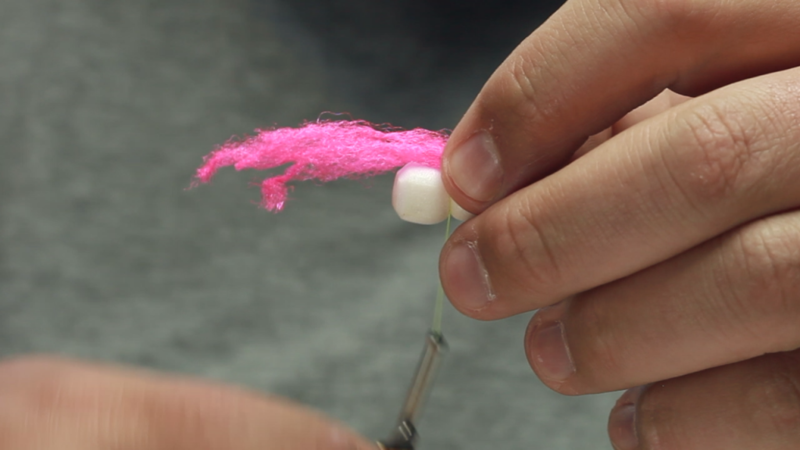 Give it a blob of varnish or superglue to hold it all in place and while you have the foam folded back use your scissors and cut a nick in the foam just behind the hook eye, this will give you a bit of room to get your line in through the eye to tie it on when you’re on the bank. And that’s it! 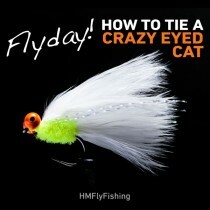 Easy but also very effective on the days where fishing the bung is all they want. 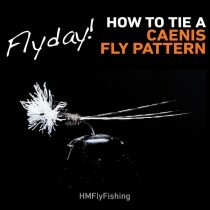 Also if you pop over to our website www.hmflyfishing.co.uk you can see our pro tutorials. 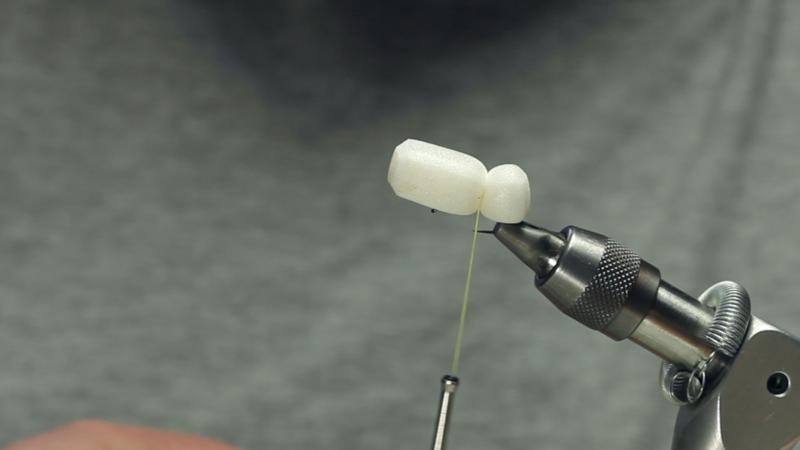 Our Bung fishing Pro Tutorial will show you all about the different types of bung, how to adapt your casting method to maximise your accuracy and distance and how to set up your cast to make competition bung fishing easy and effective. Thanks for watching and catch ya later.